Donna Lee joined the University of Louisville as the Associate Director of Employer Engagement on July 2, 2018. 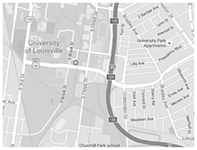 As a University of Louisville alumna, she is excited to return to her alma mater. Donna has almost 14 years of experience in various capacities in career services. She was most recently assistant director and career advisor at Xavier University of Louisiana where she coordinated a biomedical research career program for the NIH BUILD Professional Development Institute. As Associate Director at Florida Atlantic University, she supervised the day-to-day career center operations of the Broward Campus. She also created several campus-wide career programs as assistant director at Florida International University. Prior to her career in higher education, she was a language arts instructor for Miami-Dade County Public Schools. Donna received her Master of Science in English Education with subject specialization of Multicultural Literature from Florida International University and her Bachelor of Arts in Communication from the University of Louisville. Donna looks forward to being your partner for career success. If you would like to welcome Donna to the team, she can be reached at donna.lee@louisville.edu.